It was a Holy Week of 2012 then. Basically, during those times I was just at home, on the TV and watching programs. I was tuned in to TV5 when suddenly; a commercial on ‘Memoirs of a Geisha’ was aired. It caught me interested on the film because at that time, I haven’t watched it. Honestly, at first when I heard about those geisha thingy, something negative comes up in my mind. Most of us surely are aware of their existence as female traditional entertainers, who sing, dance, play traditional Japanese musical instruments and engage their clients with interesting conversation. 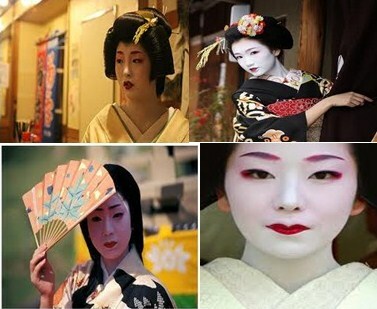 A long standing stigma has been placed on Japanese Geisha girls. When someone thinks of a Geisha, they think of a glorified prostitute or call girl. This is far from the truth. Geisha’s are entertainers, and they are trained vigorously in art, music and dancing. If you translate Geisha into English, you get artist. 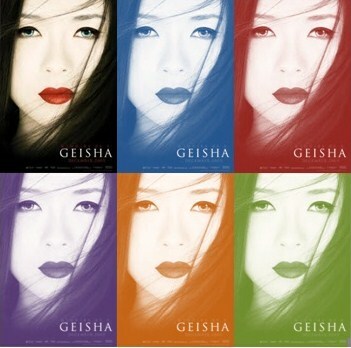 So how does one become a geisha? Some girls were sold to the okiya, or geisha house, however this wasn’t too common in more reputable districts (a geisha district was called a hanamachi). Daughters of geisha usually became geisha themselves, and would most likely be the successor, atori, to the geisha house. During the first stage of training, the girls would be put to work as maids and have to do everything they were told. This stage of training was called shikomi. Also during this time the girls would be attending the hanamachi geisha school. Once the girl has finished her shikomi training by becoming proficient in all of her classes and passing a dance exam, she was relieved of her “maid” duties and moved to the second stage of training, minarai. Minarai’s training would be done in the field; however they would not take part in the more advanced levels. They were they mostly to be seen and not heard so to speak. It is the minarai’s form of dress that we have adopted as what a geisha looks like. They are the most expressive and impressive designs, because their dress is supposed to speak for them. A minarai teams up with an onee-san, or older sister. She follows her to her events and mainly observes or pours tea. A minarai could also work closely with an okaa-san, who is the proprietor of her geisha house. She’ll learn the art of conversation and how to play games. After she completes this stage she is promoted to maiko, an apprentice geisha. While the first two stages last only several months, maybe up to one year, the maiko stage could last years. The maiko will go with her onee-san everywhere, but now she may participate, once her older sister feels comfortable. The onee-san teaches the maiko how to be a true geisha, tea ceremony, flower arrangement, calligraphy, playing the shamisan (a three string instrument), dancing, and conversation. She will help her pick a new professional name. She will perfect her way of doing her hair and makeup. Hair is washed about once a week, and the design of the style so intricate it has to be done by a professional. A thick white foundation is applied to the face, neck and chest. A line is left around the hairline to create a ‘mask’ look. And a ‘W’ like shape is left at the back of the neck. Black is then traced around the eyes and eyebrows; a maiko also traditionally wears red around the eyes too. The lips are then colored, red, but not the entire lip, only parts of them. After three years of wearing her makeup, the maiko will wear a more subdued style. After her onee-san feels she is ready, the maiko will become a full-fledged geisha and charge full price. There are two types of geisha, a tachikata, who mainly dances and a jikata who mainly sings and plays instruments. The former are usually the younger girls and the latter older more established geisha. But what are they charging what? You may have gotten some sort of idea, but let me explain further. They attend parties and tea houses, where they are the entertainment and hostesses. They pour tea, sing, and dance, play instruments, and chat with the guests. In other words they are the life of the party and companions. The first Geisha were actually men. Yes, it’s true! The male Geisha were known as Honko and would dance for their clients in bars, restaurants, and the Geisha staple, tea-rooms. Geisha actually means “person of the arts”. Many people believe that Geisha were/are prostitutes, but this is actually quite far from their true occupation. If you type in “definition of Geisha” on Google, the first definition to show says: “A Japanese woman trained to entertain men with conversation and singing and dancing.” These women were trained to provide delight to others, and although many became courtesans, they were not exactly considered to be prostitutes. As a matter of fact, Geisha were forced for a long time to undergo the ceremony known as Mizuage, which is really a coming-of-age ceremony. However, during this time, it was very popular to sell a Maiko’s (Geisha in training) virginity to the highest bidder. It was sort of viewed as honorable at the time as well. A part of the training for a Geisha is to be as anonymous as possible. Apparently, it adds an air of mystery to the Geisha, which is true! When a Geisha is serving tea and her Kimono sleeve is pulled up enough to bare her wrist, it is a sign of seduction/sensuality. Everything about a Geisha leaves something to the imagination, which is a huge aspect of the culture itself. They are the way they are because they are not blatant. A little goes a long way. Unfortunately, many modern day women (unless they are modern day Geisha or women who simply don’t feel comfortable showing too much skin) don’t understand this concept and continue to bare more and more skin, leaving nothing to the imagination. Kimonos are handmade and Geisha usually get Kimono’s designed just for them. Kimono print and fabric changes with the seasons but are always made of silk. They also spend about 2 hours just to do their makeup, hair, and put on the Kimono! Geisha work in their Okiya (where they live after entering this world) with their Okasan (house mother) and “sisters” (other Geisha). However, although they get paid for housekeeping and through their clients, most of the money they make goes to the Okiya. The money is used to keep the Okiya in business and for maintenance as well as other things. A young Geisha (or Geisha in training) is still called a Maiko in Kyoto, but in Tokyo they are now referred to as “Hangyoku”. The Hangyoku are also said to wear Kimonos that are more fashionable, longer and flowery than the Maiko of Kyoto. In addition to the so called “sexual nature” of a Geisha’s lifestyle, not only are they not prostitutes, but they are not allowed to be in a relationship for as long as they choose to be a Geisha. If they wed, they must retire from the profession. A lot of established geisha only wear their makeup when doing a special performance. Depending on if you’re in Kyoto or Tokyo, a geisha’s disposition is different. Tokyo geisha are more apt to be sassy, while geisha from Kyoto are more demure. Today, the number of Geisha is estimated to be at about 1,000 to 2,000, whereas in the 1920’s or later, there were as many as 80,000 Geisha in business! Truly, they became a big part of the popular Japanese culture. These Geisha somewhat appear to shape Japan’s rich tradition, and enrich the arts as well.